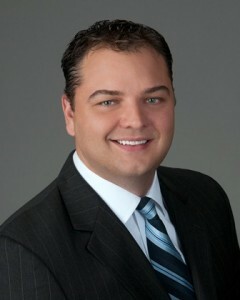 Mr. Monteith joined Ceto and Associates in 2005. As the Senior Vice President of Business Development, he is responsible for developing the firm’s sales strategy and managing the sales staff in all of its national and international markets, with a focus on the distribution of Ceto and Associates’ products and services. He is also responsible for fostering and managing the relationships with the firm’s strategic partners. Prior to joining Ceto and Associates, he worked in retail banking at SunTrust Bank, where he was responsible for originating consumer and mortgage loans, lines of credit, credit cards and various deposit products. He also served as a financial product specialist at New York Life, counseling clients and selling a variety of financial services, including insurance and investment products. Developed relationships and worked closely with hundreds of banks and credit unions across the country on numerous types of profit improvement engagements. These engagements included the implementation of software applications and various profit improvement recommendations with scopes ranging from the generation of new income sources on deposit and loan products to operational effectiveness and expense reduction. Managed the promotion and distribution of PC-based and web-based software applications to more than 600 financial institutions. These applications were instrumental in identifying and significantly reducing non-earning assets, particularly FRB reserve requirement balances and excess branch and ATM cash. Developed ROI models for evaluating the value proposition of Ceto and Associates’ software applications with the non-earning asset positions, FRB reserves and branch and ATM cash, for financial institutions. Managed the promotion and distribution of consulting services engagements to more than 60 banks and credit unions ranging from $300 million to $3 billion in total assets. These engagements included the implementation of strategies for product pricing and design, increasing non-interest income, decreasing non-interest expense, staff modeling, reducing non-FTE related expenses, as well as methodologies for improving management process and enterprise risk management. Cultivated relationships with many strategic partners in the financial industry, including many of the bankers banks, corporate credit unions, accounting firms, and technology firms, which significantly increased the awareness and market penetration of Ceto and Associates’ products and services.